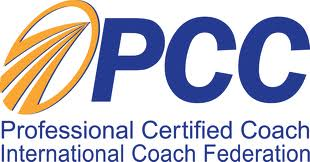 On January 16, 2016 I was invited to the First Annual Coaching Conference – The World Game Conference, hosted by Erickson Coaching International and Inspire Coaching Systems. A day full of deep conversations and sharing of perspectives on Leadership, Life, Dreaming Big, Translating Innovation into Action, Transitioning boundaries – left the delegates with an enhanced sense of purpose and renewed goals. Living near the border of Tibet in the Yunnan and Sichuan provinces, the Mosuo tribe live in extended households with the head of the family is a matriarch. Interestingly, Mosuo women typically handle business decisions for their families. Likewise, the Nagovisi tribe, an inherent of South Bougainville, an island in the west of New Guinea has ladies involved in leadership and ceremonies and pride most in the land entitled to them. These are two distinct yet exemplary examples of how women are leading from the front even in the most non reported tribes of the world. This practice is not a new phenomenon but centuries old. And if we look around ourselves, we will find many many examples – be it Indira Nooyi, Sheryl Sandberg, Chanda Kochhar, Kiran Mazumdar Shaw and so on, in the corporate world ; Saina Nehwal, Sania Mirza, PT Usha, Anjali Bhagwat in sports, or in politics like Indira Gandhi, Margaret Thatcher, Queen Elizabeth, Golda Mein, Aung San Suu Kyi to name a few. Of course there is no such thing. How could one even categorize leadership and slot it in a very narrow bucket of gender. While doing this we become discriminatory and myopic and take away all the credit of the hard work, passion, dedication, effort and the vision that exemplary leaders, irrespective of the gender, have showcased through centuries of leadership. Leadership is certainly not gender based, hence, there is no such thing as women leader. My sojourn as an Executive Coach has provided me the opportunity to engage my services and closely work with senior leaders globally. Through years of enriching myself with the experiences seen and shared I have realized that each one of them had their individual strengths and their own styles of leadership, without a hint of gender intonation. Stereotypes are created by the society. Or else how would you define a leader that is Sanjeev Kapoor, the globally recognized Chef who owns the kitchen space and is a male and Mary Kom who is the queen of the square boxing ring. If gender had to be looked at leadership and thereby their contributions to their individual fields, the roles should be been reversed with Sanjeev boxing and Mary Kom cooking in the kitchen. Through my years of engagement, as an Executive Coach, I have had the opportunity of working with gentlemen CEOs who have a very nurturing and participative style of leadership, the attributes which is socially declared as feminine. Likewise, I have had the opportunity to work with authoritative and directive high performing women senior executives, as their Coach. They surely make no bones about their direct approach to communication and execution. If leadership had to be mapped in terms of gender, again the roles should have been certainly reversed. I ultimately believe that gender has nothing to do with leadership. Leadership is an attitude. Leadership is a way of being. It is about the style one adopts and adapts, to suit the environment, irrespective of the gender. Hence, I conclude by saying that there is no such thing as women leadership and also add a caveat that there is no such thing as male leadership too.